are awesome. Seriously, if you need to get some photos printed up, these guys are my favorite, by far. This coming from someone who is so cheap I wait months on end for Shutterfly or Snapfish to run a promotion before I'll upload and print the gazillion pics I have lingering on my iphone! They are the best, and worth every penny! And fast! Welcome to Paper Issues Let Get Persnickety blog hop! You should have arrived here from Chez's blog--if this is your first stop, be sure to head over to Paper Issues to start at the beginning! I used their free 3x3 Instagram template to print out all my Instagram shots from 2012, and I LOVE the way it turned out. It's awesome being able to flip through, month by month, and see all those little moments of our life captured. After inserting all of my photos using photoshop, I printed the templates at 8x8, then slipped them into page protectors. I modified some spreads to have fewer pictures, because not every month had exactly 18 photos. This way I could include pages related to special events and trips, since I tended to take more Instagrams at those times anyways. At the beginning and end, I made collage pages with tiny thumbnails of all the images, I love the way they look all together! 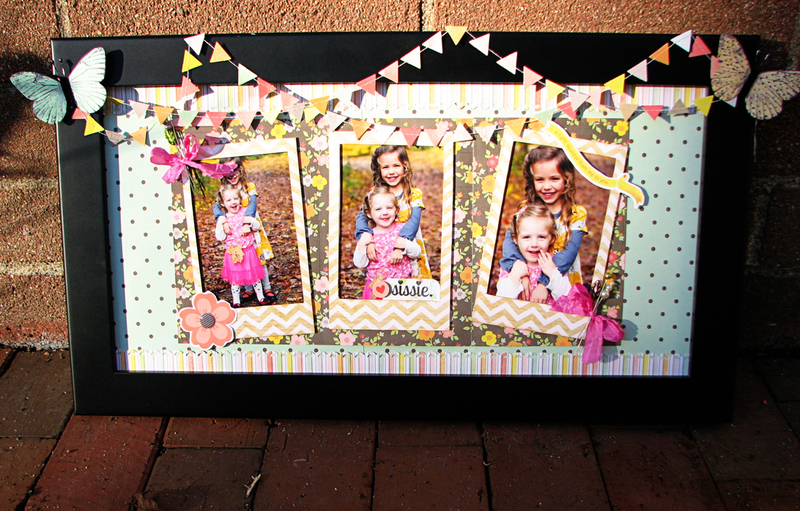 Pernickety Prints is the latest sponsor at Paper Issues, be sure to check out what the other creative team members made by going on our blog hop! Next up on the hop is the fabulous Aimee! 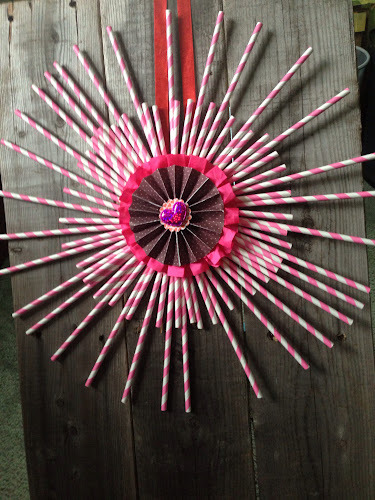 Hey everyone, Judean here to share a quick Valentine's wreath idea. 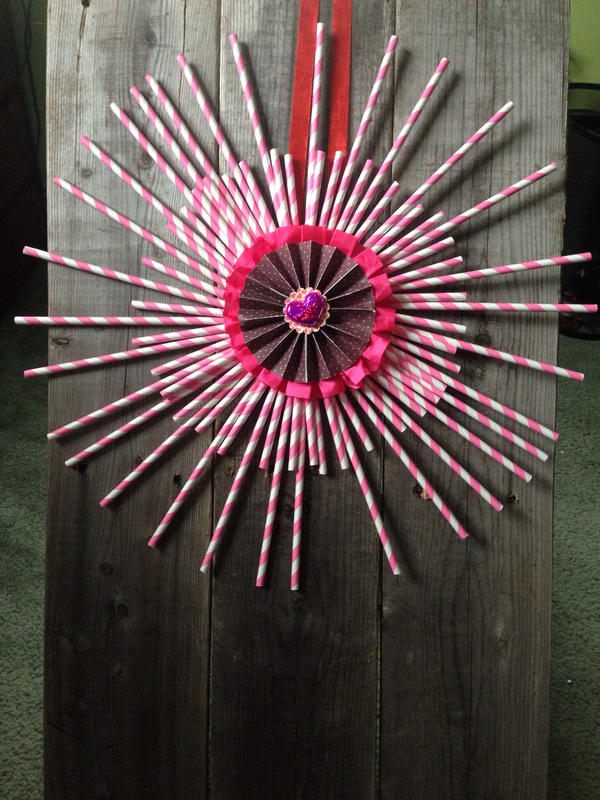 These striped paper straws seem to be everywhere lately, I saw some in the dollar section of several big box stores recently. I used about 50, and cut 15 in half. 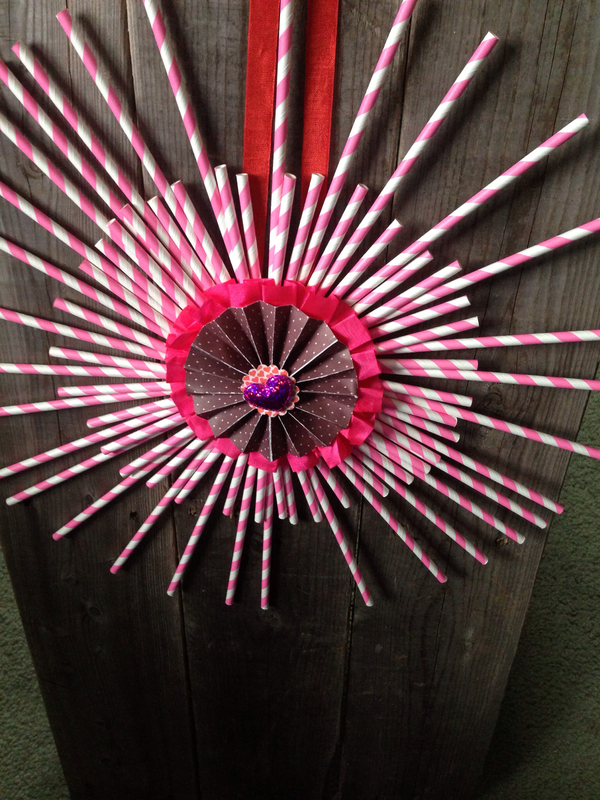 Then, starting with the long ones, I glued them using my glue gun around a card stock circle. The middle section will be covered up later, so you don't have to worry too much about keeping the inner edges neat or even. I focused on getting them evenly distributed around the circle, and keeping the outer edges in line. 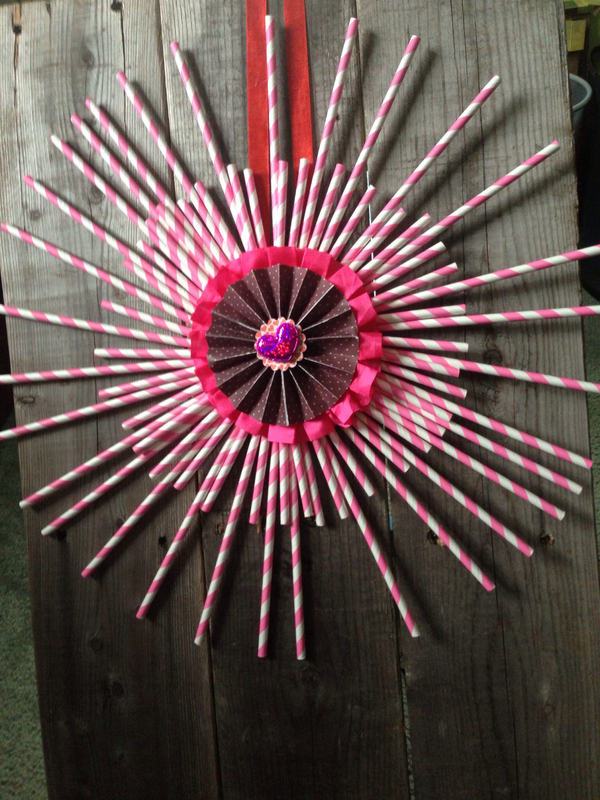 Next I went in with the shorter straws and glued them in the spaces in between. Finally, I added a paper rosette and gitter-puffy-heart sticker to the the middle, and a ribbon on the back for hanging. Use my code SUKEYDOOKIEDOO for 20% off anything in the store! 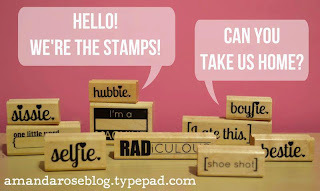 I had some more fun with the stamps from Amanda Rose--wanna see what I made? Amanda Rose has a fun blog you can visit here, and lots of super cute rubber/wood mounted stamps you can buy here. 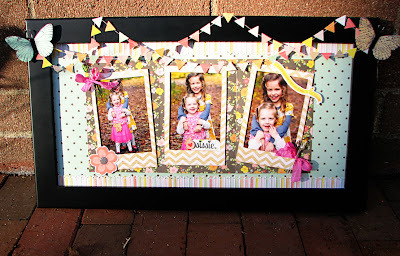 Check out what the other PI girls have made with the stamps by joining in on the blog hop at Paper Issues--and don't forget to link up your own 'It's your Life' project! 3. Leave a Comment on the Paper Issues blog that you did both. 4. Link up a project for a bonus entry! Any project! Also, AMANDA ROSE is having an awesome sale on her stamps--it's BUY 2, get 1 FREE! 1. Visit the STAMP SHOP to peruse the sweet selection. 3. I will follow up with an e-mail and a Paypal invoice applying the discount. 4. Once I receive payment on the invoice, I will happily ship your items. For the offer to apply, all transactions must be done through e-mail. If you attempt to purchase the stamps with the 'Add to Cart' button on the STAMP SHOP's website, the offer won't apply. One last thing--don't forget you can use the code Sukeydookiedoo ANYTIME in the PI shop for 20% off your order! Paper Issues has a new Issue up, and it's perfect for all you Project Lifers out there, or anyone, really, who creates paper art about LIFE (um, that's basically ANYONE who plays with paper and glue). We also got the chance to play with some very cool and funky stamps from Amanda Rose. She has a fun blog you can visit here, and lots of super cute rubber/wood mounted stamps you can buy here. So cute, right?!? 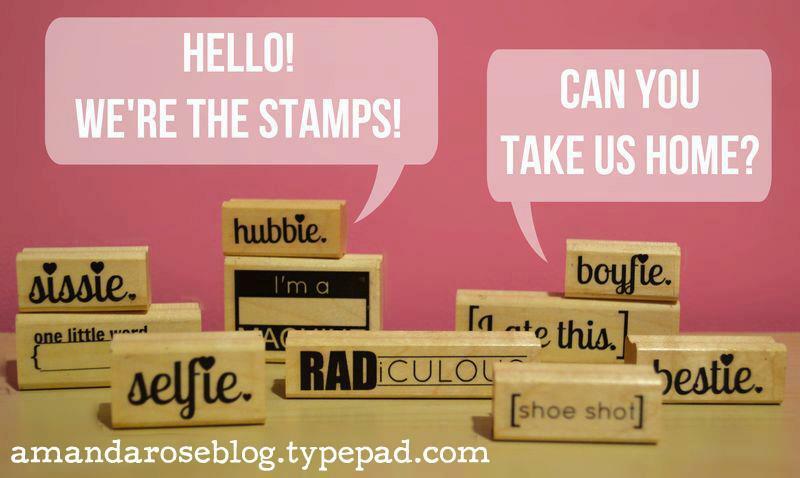 A few other PI creative team members also had a blast with a few of her stamps, be sure to visit their blogs too! Even though once December hits winter is pretty much here. I had to scrap this back-to-school layout of Chloe using fall colors, I'm just not ready to move on quite yet. 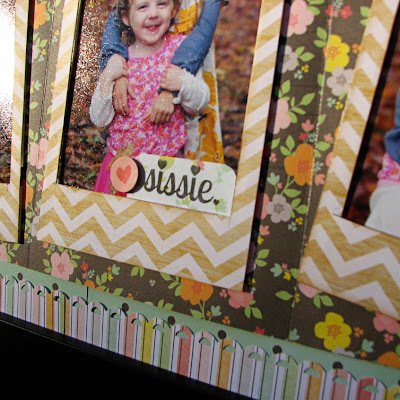 The Paper Issues Fitkit for November is called 'Gather' and it's full of fall pretties. 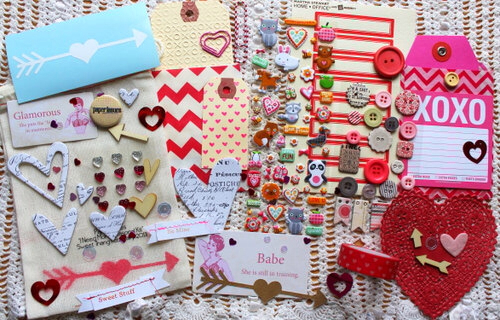 You can link up at Paper Issues for a chance to win some BG goodies right here. And don't forget to use code SUKEYDOOKIEDOO in the shop for 20% off! You might not know this about me, but I love Basic Grey. It was my first scrapbooking crush, the first patterned paper that infiltrated my dreams...and still almost 5 years since I began the hobby, I still can't get enough. That last one is BG's newest line, Fact and Fiction...LOVE IT! 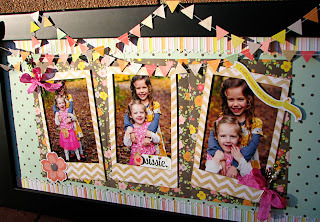 Here's another layout I made using the September FitKit from Paper Issues, that I am also linking up over at the blog. The theme is "Tag You're It," see my tag tucked under the photo? There's some deep, personal journaling on there, hidden away from prying eyes. That's my favorite way to use tags--what's yours? Link up your tag project, and find out how you can win an amazing tool from craftwell.